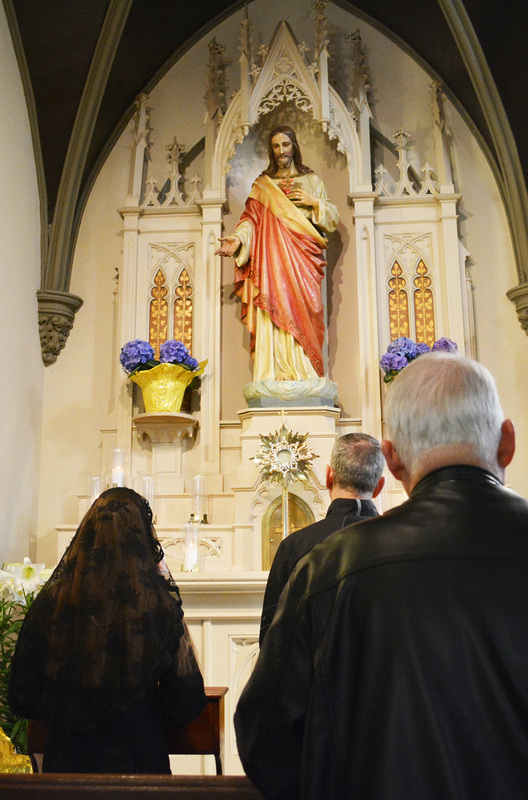 Divine Mercy Sunday is the first Sunday after Easter. 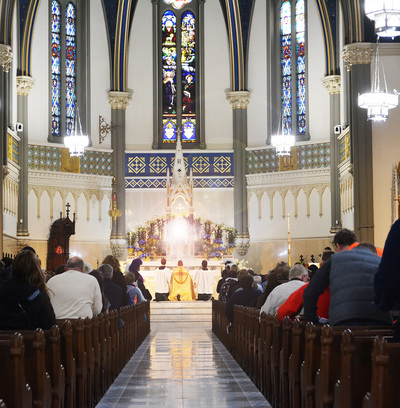 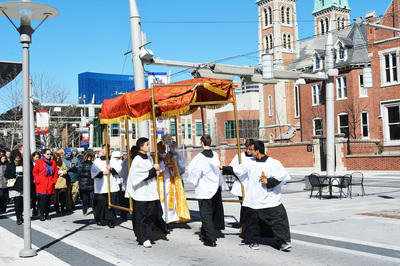 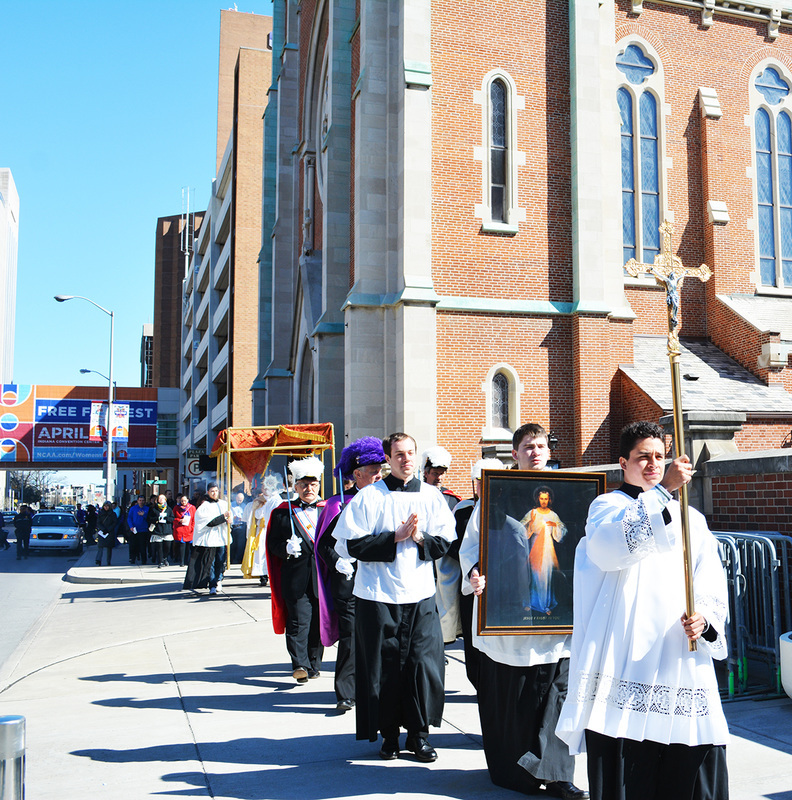 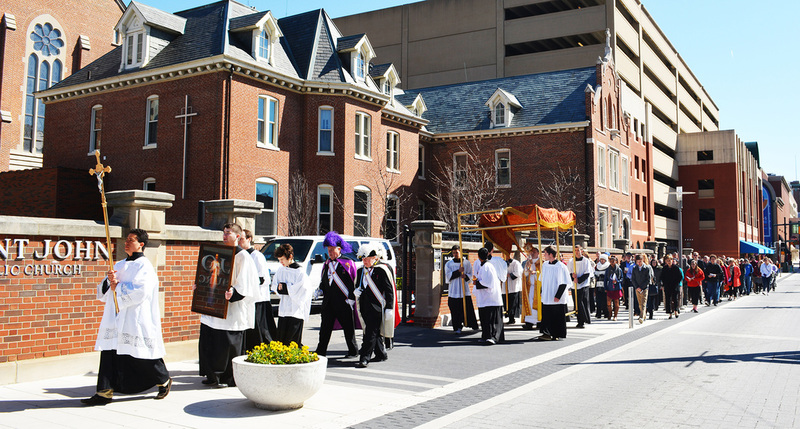 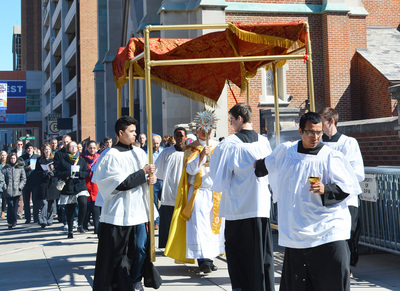 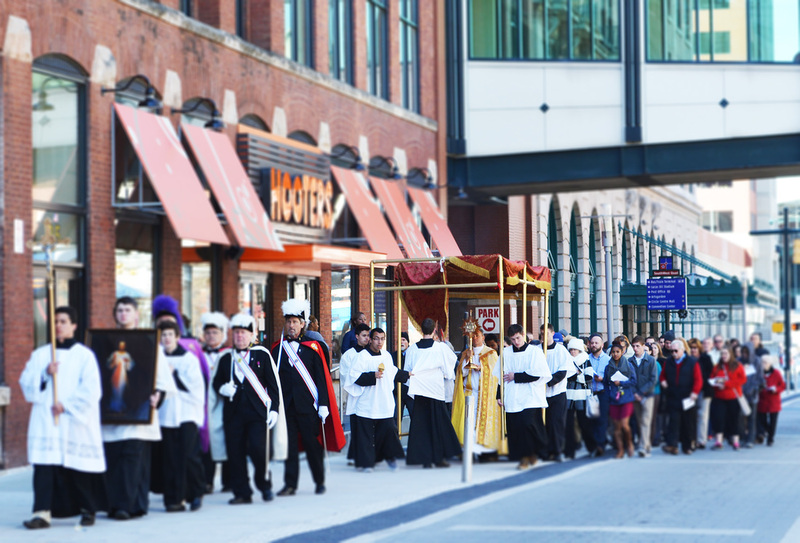 At St. John's following our 10am Mass there is a Eucharistic Procession through the streets of downtown Indianapolis. 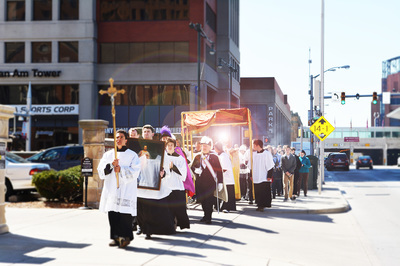 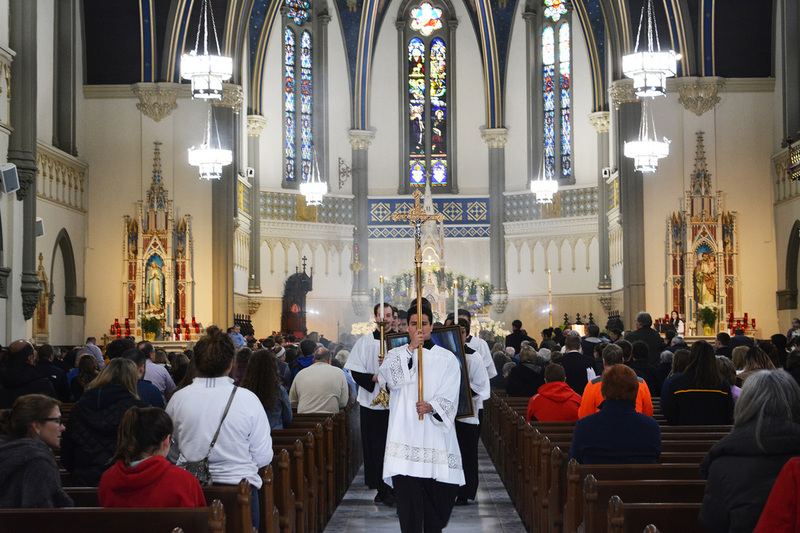 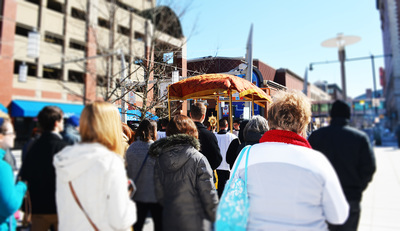 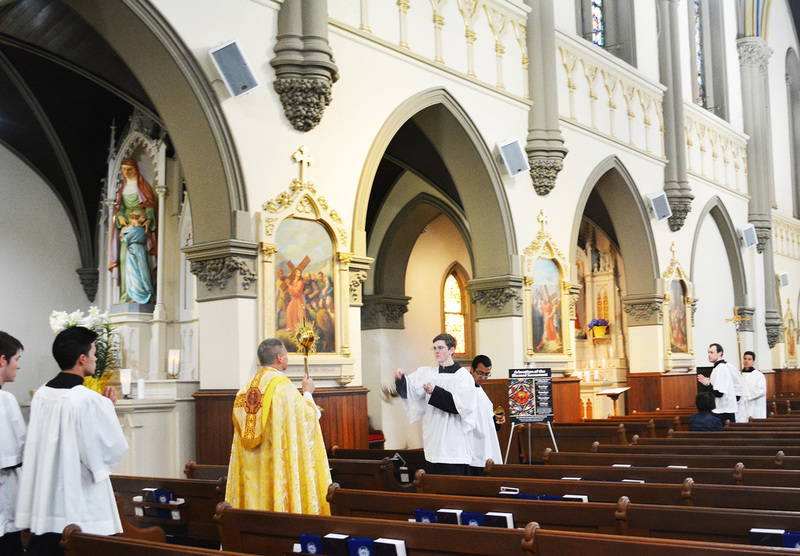 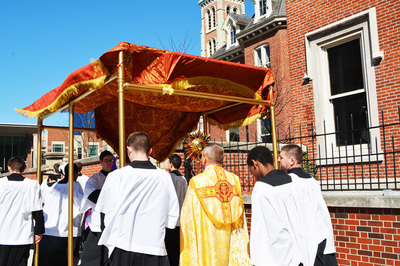 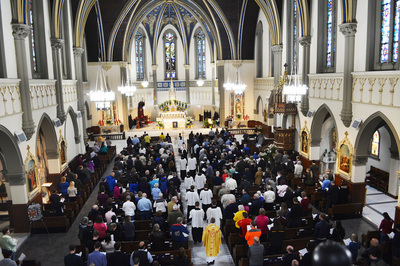 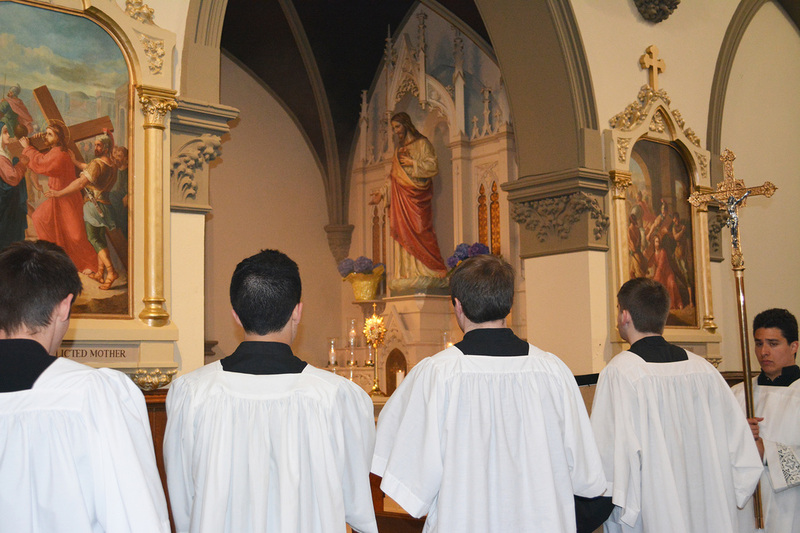 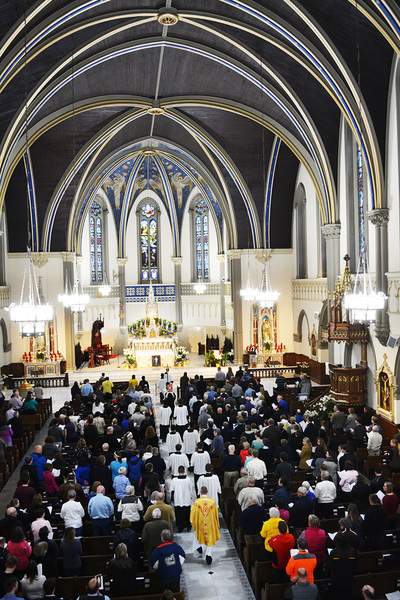 See video and pictures below of previous Divine Mercy Sunday Eucharistic Processions. 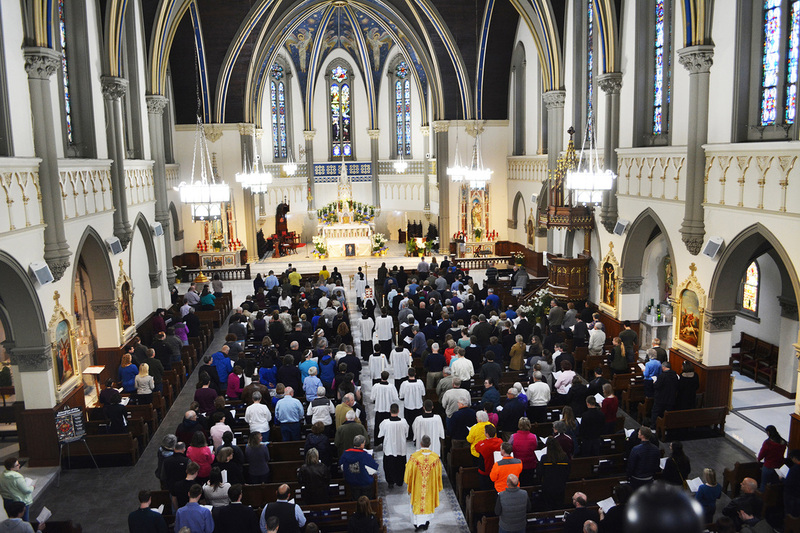 All are welcome to join us on Sunday, April 28. Divine Mercy Procession from St. John's Indy on Vimeo.